We acquired the 30th spectrum with HARPS on February 27th at 8.40 UTC from La Silla. 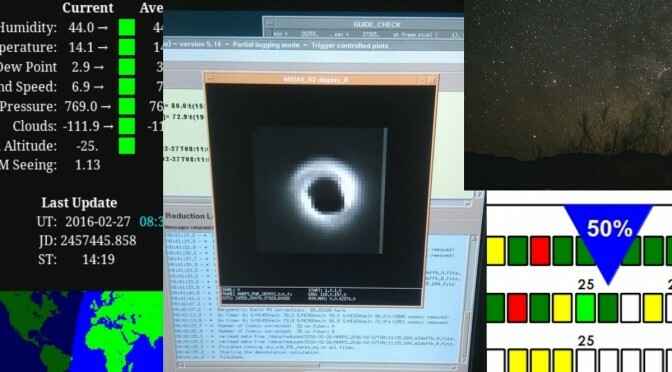 James Silverster was the observer at La Silla and he send life updates of the moment. His team is using HARPS in polarimetric mode to make measurements on stellar magnetic fields. We will have an article at palereddot.org from them soon, so you can see how stellar magnetic fields can be measured in practice. 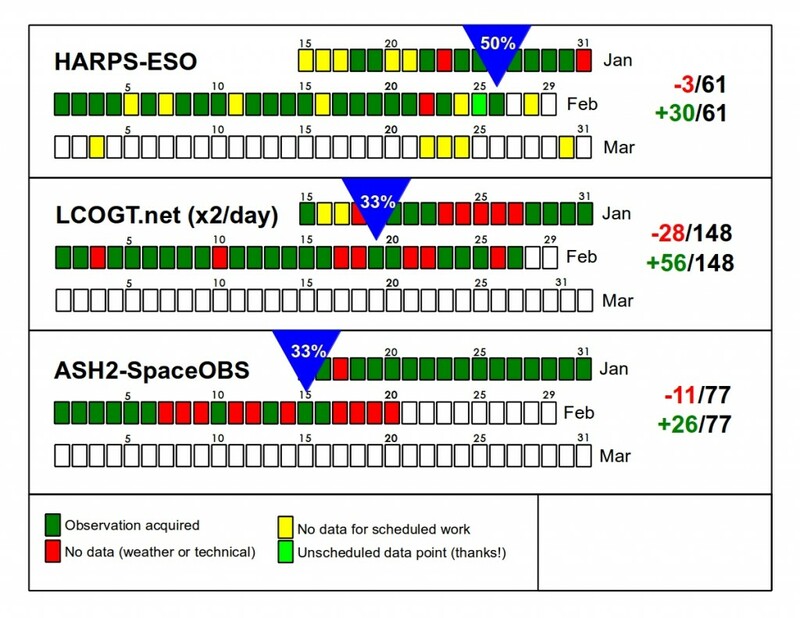 08:30 UTC :All green lights at ESO Astronomy La Silla. One more spectrum and we will reach 30/60! Standing by! 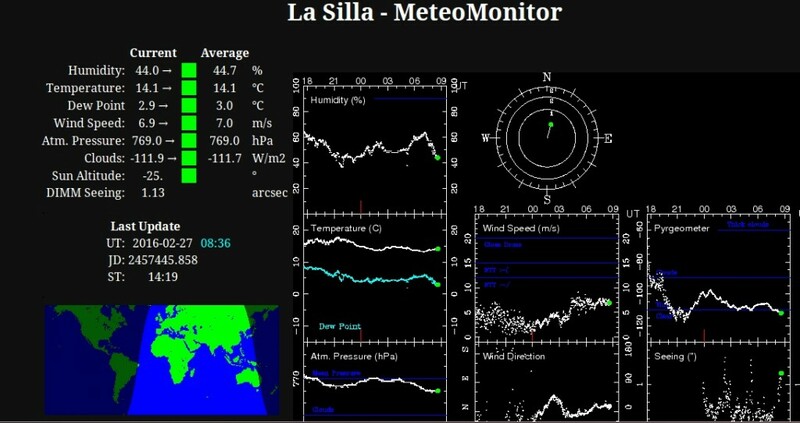 Meteo monitor information. Image quality looks really good, seeing <1" (bottom right panel, the seeing tells you how 'point-like' a star would look through a telescope). 1" arcsecond would be awesome in any decent observatory. For the high chilean observatories (La Silla, Paranal, Las Campanas, Gemini-S, etc. 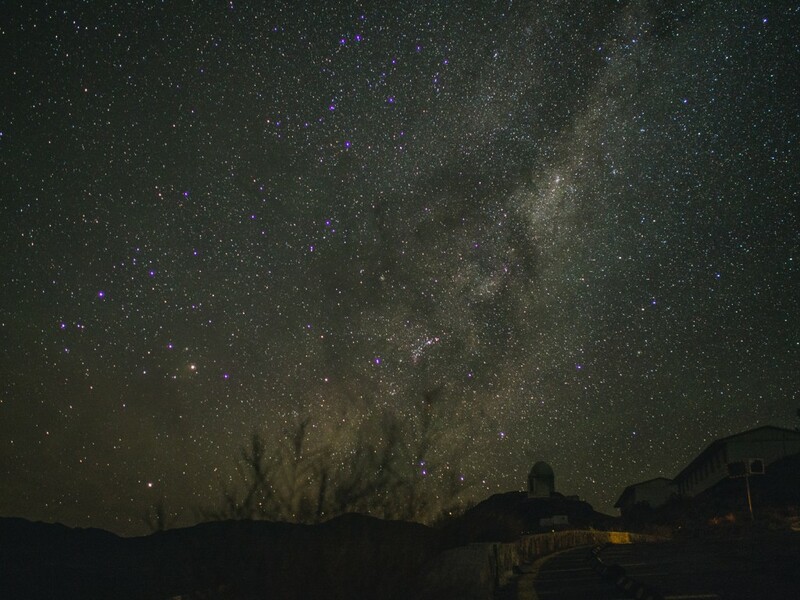 ), <1" is routinely achieved, which is why the high Chilean mountains are such a good place for astronomy, besides being dry and mostly cloudless. [/caption] 08:45 UTC : @jimmysilvers > @Pale_red_dot Photons are being collected as we speak! 08:46 UTC : @Pale_red_dot > Cool! Send us a picture!!! 08:58 UTC : @jimmysilvers > here you go! 09:15 UTC : Integration complete. File saved, stored, and shipped to ESO’s HQ at Garching. Thanks James for sharing these moments. 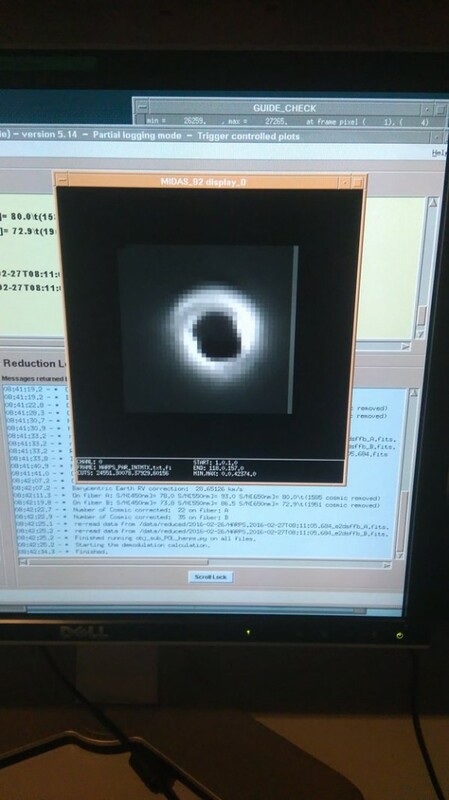 The raw file reaching ESO’s archive at Garching marks the end of a successful observation. Status update Feb 27. One bonus spectrum was obtained on Feb 25.